The board of directors of MBN UK have pleasure in inviting you to a drinks reception on November 27th, 2018 at Malta House, taking place between 6.30pm – 8.30 at the Malta High Commission, 36-38 Piccadilly, London W1J 0LE. The newly appointed High Commissioner, HE Mr Joseph Cole will be our guest speaker for the evening. 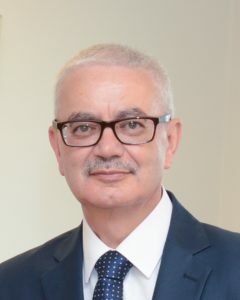 Ambassador Cole was appointed as Malta’s resident High Commissioner to the Court of St James’s in August 2018 and presented his Letter of Credence to Her Majesty Queen Elizabeth II last month. It is our pleasure to open up the invitation to students, friends and guests who would like to attend and meet with MBN members. Registration is required, as only registered attendees will be allowed into Malta House. Please note you will also need to carry a photo ID for security purposes. This will be our last gathering before the end of 2018 and it will be an opportunity to meet up with people who are interested in Malta’s culture, business environment and people.